Ever wondered how a never-head-of a town can become one of the biggest settlements of the West? Dawson City, a small town situated on the banks of Yukon River in Yukon district of northwest Canada drew thousands of visitors overnight. 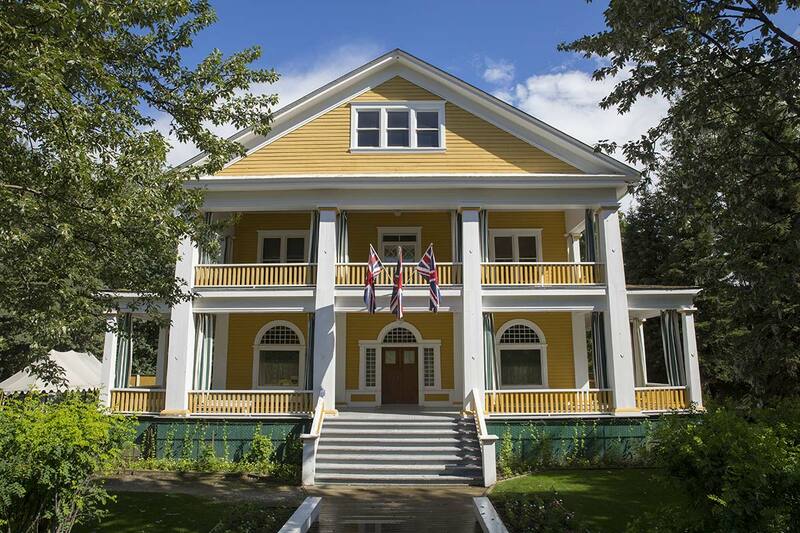 It was the base of the Klondike Gold Rush in the 19th century and still retains most of its characteristic features, historical sites and frontier-style buildings. It has a lot to offer to tourists in terms of its fascinating history and sightseeing. Gold was first discovered in the Rabbit Creek in 1896. This gave rise to what is known in the history as the Klondike Gold Rush drawing thousands of people to this small town in north Canada in hopes of striking gold (quite literally). This place is now called Bonanza Creek and is a historical site where you can see displays and signage and dive into the fascinating history of this even more fascinating town. Dawson city transformed overnight from an insignificant town that nobody had even heard of to one of the largest settlements of the West. People flocked from different regions to try their luck in finding gold. Klondike Gold Rush was a catalyst that made this small town of historical and economical importance. But how was Dawson City before the Klondike Gold Rush flipped the cards and how did the gold rush changed everything? Dawson City Museum will help you find out the answers to such questions. From the very first settlers to the gold diggers, this museum will satisfy all your curiosities. 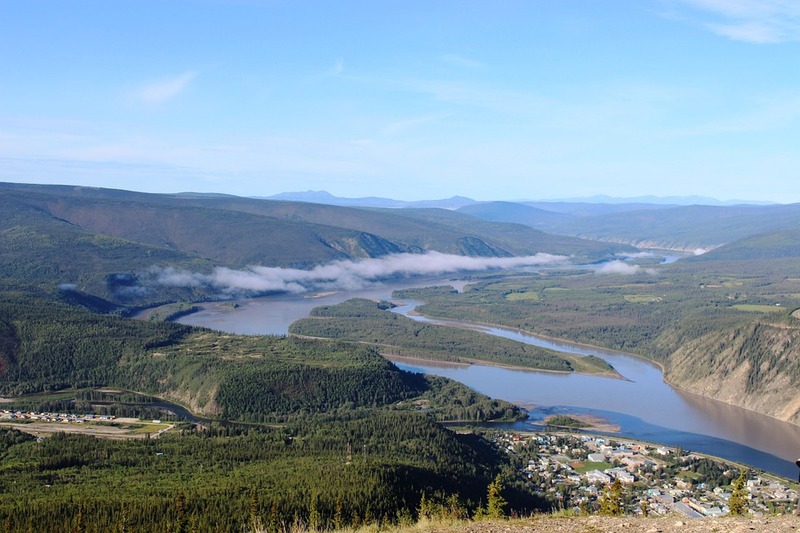 This is something you absolutely cannot miss while you’re in Dawson City. Various interpreters wearing all kinds of costumes walking the city will certainly draw your attention towards them. 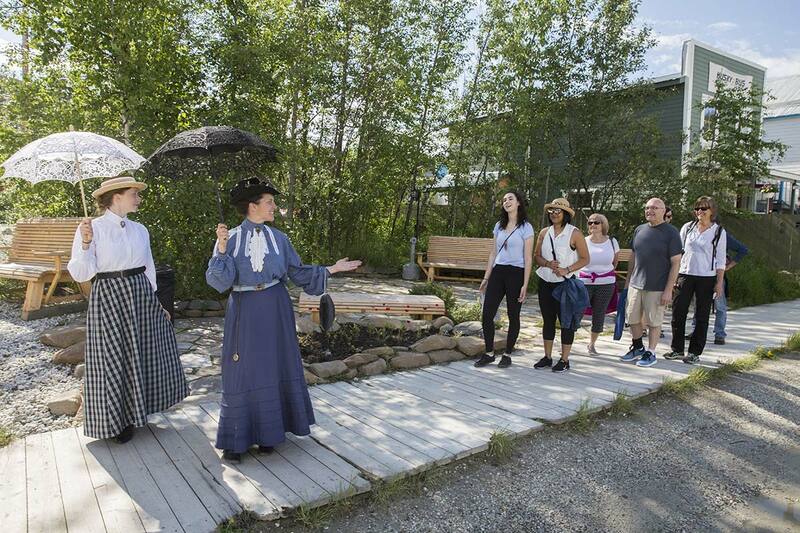 There are many themed tours that you can join and learn about the interesting history of Dawson City. These tours also give you an opportunity to explore some of the restored buildings. At a distance of only two hours drive from Dawson City on the Dempster Highway lies the Tombstone Territorial Park. Unlike its name suggests, it’s actually a beautiful place to visit. Full of spectacular views of rugged mountain peaks, tundra vegetation, stunning lakes and diverse flora and fauna, this park is a must see in every travellers bucket list. This park doesn’t only give you a chance to soak in nature but is also a paradise for all history buffs. 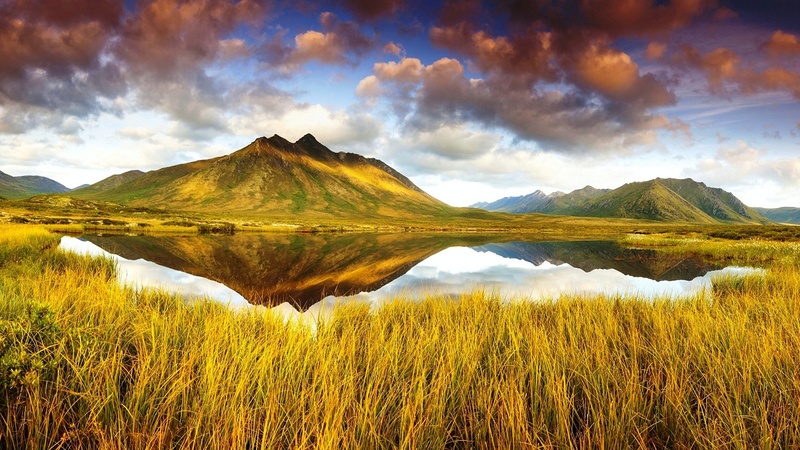 Tombstone Territorial park is also home to the archaeological site of a First Nation “Tr’ondëk Hwëch’in”. Walk into the history of a nation that is thousands of years old and experience past like never before in the historical and ecological sites of more than 70 protected First Nations. After the discovery of gold in 1896 in Dawson City, with the influx of so many settlers came the need of government. And this led to the creation of the Yukon Territory in 1898. Shortly afterwards, a commissioner was sent to this gold town as the representative of the federal government. The commissioner’s residence still retains its 20th century charm and is considered to be a National Historic Site of Canada. 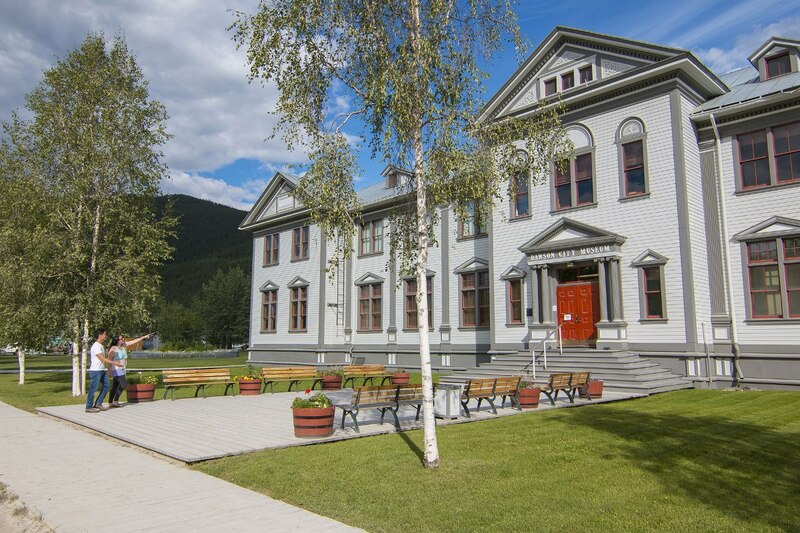 How to Reach Dawson City? The Dawson City Airport (YDA) is approximately 15 minutes from downtown Dawson. You can also book your flight to Alaska and then take a road trip through the Alaska Highway #5. P.S: The Canada USA border is opened seasonally from May-September, 9am-9pm Yukon time (8am-8pm Alaska time). 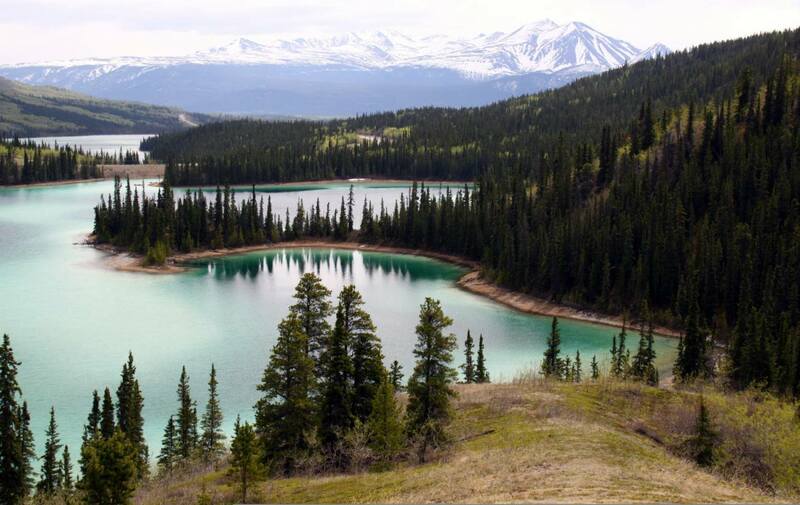 You can also arrive in Whitehorse and from there can take a bus to the Dawson city. Do You Know this Architectural Wonder?